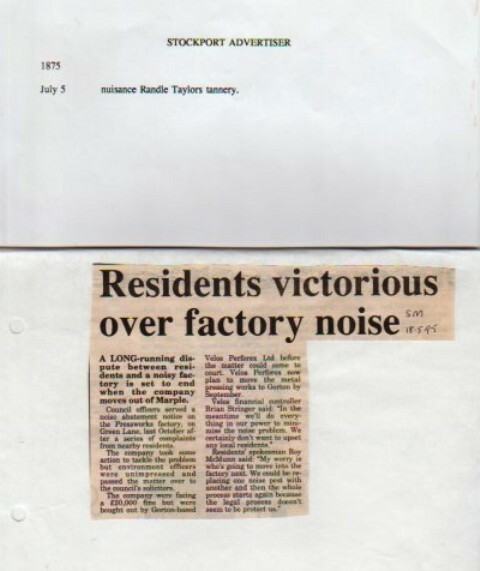 Newspaper cuttings in relation to disputes with local businesses and residents. a. 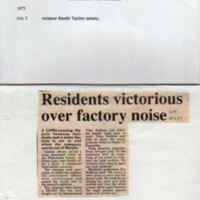 1875 July from the Stockport Advertiser "Nuisance Randle Taylors Tannery"
“Two Reports of Disputes with Industry by Local Residents : 1875 & 1995,” Marple Local History Society Archives, accessed April 20, 2019, http://marplelocalhistorysociety.org.uk/archives/items/show/2481.